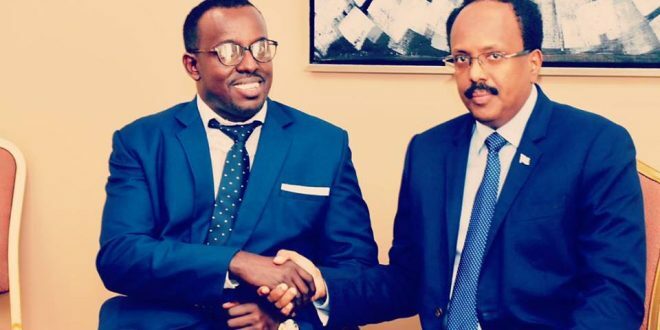 25/11/2018 Entebbe: The founder of Somali Disability Empowerment Network (SDOEN) Mohamed Ali Farah has met today with president of Somalia His Excellence Mohamed Abdullah Farmaajo in Entebbe Uganda, both of them they have discussed the last development of disability rights which the government of Somalia has paid off a marvelous step over the disabled people’s rights in the last 10 months. 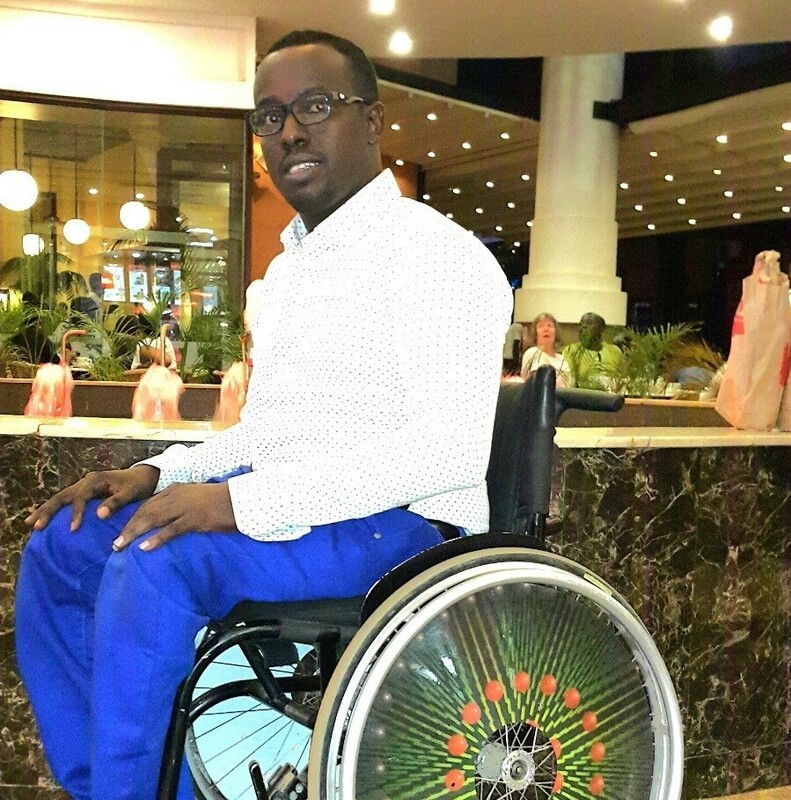 The Founder of Somali Disability Empowerment Network (SODEN) firstly thanked the president and he has appreciated him for this meeting also Mohamed thanked to the government of Somalia the way they are addressing the disabled people’s rights after the government of Somalia has signed the UN Convention on Rights of Persons with Disabilities (UNCRPD) on 2nd October 2018. 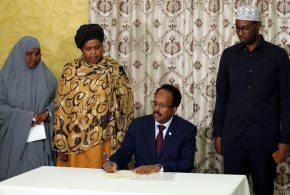 Mohamed said “I thanked the president of Somalia and entire the government for their newly engagement over the disabled people in Somalia its first time that Somalia Federal Parliament discussed the disability-related issue, and president Mohamed Abdullah Farmajo assured that his government will ensure and uplift the rights of disabled people and will give them equal rights. 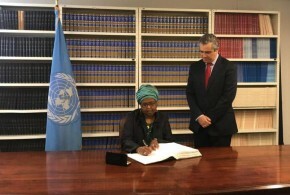 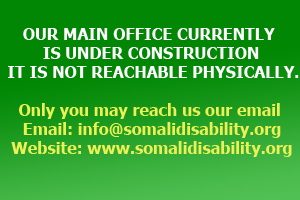 However Somali federal parliament has passed last week the National disability agency establishment bill and its first time since three decades after 1991 when the former government of Somalia collapsed, Somali Disability Empowerment Network has been advocating many years how the government of Somalia sign and ratify the international disability legal instruments and create national legal disability framework. 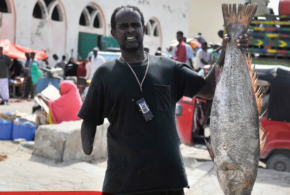 Disabled people, label aside are people and they have enormous amounts to contribute to society and this contribution will be forever lost if the governments Somali allow ignorance to sideline them. 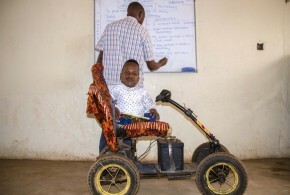 Disabled people in these different places do not need charity but policies that protect their interests and give them the opportunities they need to succeed.